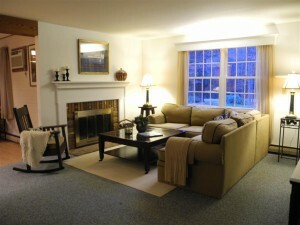 Wolfeboro New Hampshire - Steve and Carol Bush | NH Lakes Region Realtors . If you saw Neil Berg during last season's concert series you will know what I'm talking about. The biggest moments of 101 Years of Broadway will be brought to the New Kingwood Regional High School auditorium, and will feature shows like Fiddler on the Roof, The Phantom of the Opera, Les Miserables and so many more. On July 13th, Great Waters Music Festival presents a free community concert, but you must get a ticket as there is limited seating, to the United States Coast Guard Dixieland Jazz Band. Once again Great Waters hosts one of our country's finest armed forces ensembles in an evening of wonderful music. The Great Waters Music Festival Chorus and Orchestra perform on August 4th. This concert will be directed by Christopher Shepard and will feature a professional orchestra supporting a chorus of exquisite voices. If you love choral music than you will not want to miss this musical event. 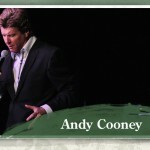 August 10th features an evening with Andy Cooney, "Irish America's Favorite Son". With success throughout the country but more recently with a sold-out performance at New York's Carnegie Hall, Andy Cooney will entertain and sing his way into your hearts whether you're Irish or not. The Masters of Motown bring their celebration of the Motor City to our town on August 17th. Both male and female groups backed by a live band will recreate the sounds of the groups we all remember fondly; The Supremes, Four Tops, Temptations and so many more. This is a show not to be missed. 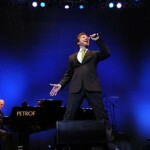 We end our concert season in the most exciting way with The Manhattan Transfer on August 24th. This Grammy Award winning group came to Wolfeboro and Great Waters six years ago and the concert was sold out. They will be backed by a fantastic band and will cover the musical genres of pop, jazz, Broadway and so much more. Lastly it is such a treat to live in the Lakes Region of New Hampshire, especially in the summer months, when dedicated individuals such as those of the Great Waters Music Festival work hard to bring quality music to share with those who love coming here and living here. If you would like more information on tickets, click HERE. If you would like more information on the Lakes Region of New Hampshire, click HERE to contact Steve or Carol Bush at Maxfield Real Estate. Statistics Don't Lie. 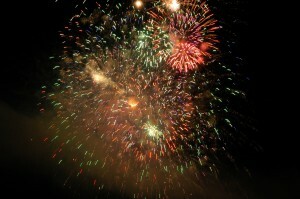 Maxfield Real Estate is the #1 Real Estate Office in Wolfeboro and Alton for 2011 Sales! For the year 2011 the Wolfeboro office of Maxfield Real Estate is the number 1 office for sales out of the eight real estate offices in Wolfeboro, and the Maxfield Alton office is the number 1 real estate office in that town for 2011 sales. Heady numbers attained in an extremely competitive business, but richly deserved! In Wolfeboro, Maxfield Real Estate was 45% ahead of the closest competitive real estate office in Wolfeboro. That's a dollar volume for the Wolfeboro office of over twenty-three million dollars in combined sales over that closest competitor. When there have been a string of difficult years in real estate sales due to the economy, why is Maxfield Real Estate able to remain a continual leader in real estate market share of transactions? The simple answer is that working for an independent family run company, with over 55 years in Wolfeboro, and with leadership that is "fair and balanced", as Bill O'Reilly likes to say on FOX, has inspired exceptional people to work in the Maxfield offices. 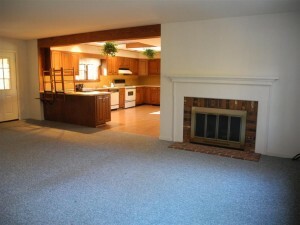 At Maxfield Real Estate the Realtors are highly skilled in the principals of sound real estate commerce. Year after year agents such as Carol Bush, Randy Parker, Bill Regan and Denise Williams are Top Producers. The team of agents at Maxfield are not only extremely intelligent about real estate in the Lakes Region of New Hampshire, but they bring all the tools needed for a successful customer experience whether buying or selling. Their ability to market effectively and over many mediums, use technology to their customer's advantage, and negotiate efficiently and successfully on their clients behalf are well known throughout the Lakes Region. Maybe being consistently leaders in their communities for supporting non-profits also says what kind of individuals Maxfield agents are. 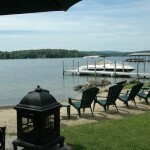 Looking to Sell Your Lakes Region Property or Buy Lakes Region Property? If you are looking to buy or sell real estate in the Lakes Region, please give Maxfield Real Estate the opportunity to assist you and call or email Carol or Steve Bush. We know you will find working with us a positive experience. Our priorities are simple, they're yours. 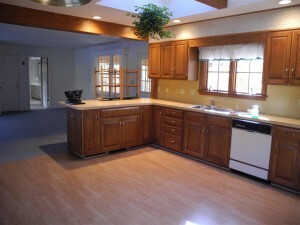 Staging Your Home to Sell Makes a Great Impression! Staging your home as a way to compete with the other homes for sale in your area and price range is the quickest and most effective way to get your property seen by prospective buyers. Its just that simple! 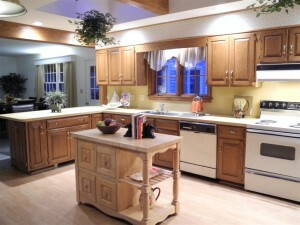 Here in the Lakes Region of New Hampshire there is a company, Great Impressions Staging, owned and operated by staging consultant Robin Webster. Her expertise in the area of staging homes for sale, as well as her many years of experience in the real estate industry (both as an appraiser and Realtor) makes her the perfect choice to present your home in its best possible light. The goal is two-fold: a quicker sale and at a higher sale price. 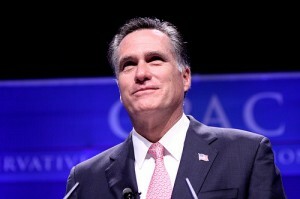 What if Republican Presidential candidate Mitt Romney is successful in his bid to become the next President of the United States. How will that impact on the small summer resort town of Wolfeboro, New Hampshire or for that matter the whole eastern side of Lake Winnipesaukee? It is interesting to contemplate the what if when comparing the impact that the first President Bush has had on his summer home in Kennebunkport. I have seen the Bush compound on Walker Point as well and have talked with some of those living in this seaside area who have said that you eventually get used to the blocked roads, traffic jams, and masses of people all trying to see the former President or his home. It is even more dicey with all the security when the Bushs go anywhere in the Kennebunkport area. The difference for the potential Wolfeboro President is that there is no drive by from which to see Mr. Romneys house. That may be a blessing for him. The only access to see his house is by lake and that will be patrolled 24/7. As with Walker Point in Maine, there is an established line where boats cannot enter and there will be a similar perimeter line drawn outside the potential Presidents waterfront property. It obviously would bring significant pride to be the summer address of an American President. It should eventually bring a fair amount of business to the Wolfbeoro area though in the first year of the first President Bush becoming President tourism and business in Kennybunkport decreased 10%. There will be the significant added cost to the Town of Wolfbeoro and State of New Hampshire for the expected role and needed security. Because Mr. Romneys home isnt easily viewable, there will be less interest in coming to Wolfeboro just to see the President, which hopefully won't add appreciably to the lines of traffic coming in and out of Wolfeboro even now. We have a summer cottage down the lake shore less than half a mile from Mitt. Will we be able to go to town in our boat? How far from shore is the perimeter boundary likely to be? Wolfeboro is the only First Night left in New Hampshire from the original three towns and city that had participated in First Night activities starting in 1999. On Friday, December 31st, First Night Wolfeboro will start at 5:15 with the Mardi Gras-style parade in downtown Wolfeboro, and will end at midnight with fireworks over Wolfeboro Bay on Lake Winnipesaukee. As a lifelong lover of music and also as a resident of Tuftonboro, I have been to these First Night activities the past decade and I can attest to the wonderful quality of the performances presented. Because of my love of playing the guitar and mandolin, I am drawn to the exceptional music of my former string teacher, Seth Austen and his partner Beverly Woods. Their expertise in evoking sounds from a variety of musical styles range from Celtic, Appalachian, to Old Time Music is never to be missed. In the same venue as Austen and Woods, the First Congregational Church on North Main Street, is the amazing husband and wife team of Burke and Surette. The first time I heard Susie Burkes voice and David Surettes playing of the guitar, mandolin and octave mandolin I was stunned at their musicality as a duo. Susies voice and Davids accompanying of songs which often speak to the heart or are playful and fun will, I believe, make them favorites of yours too. For only ten dollars for a button you get to visit all the performance venues, not only hearing amazing artists perform their music, but can see Wolfeboros Village Players perform, ice sculptures being made, face painting and mask making, an Olde Tyme Magik Show, marionettes, a Celtic Odyssey Contra Dance, and many many more wonderful activities. Buttons can be purchased at the Wolfeboro Chamber of Commerce on Railroad Avenue or at all select site locations the evening of December 31st. Dont miss your chance to ring out the old year and ring in the new with an extraordinary event, and have a Happy New Year from Carol and me at Maxfield Real Estate! Just one more reason why living in the Lakes Region of New Hampshire is so special.